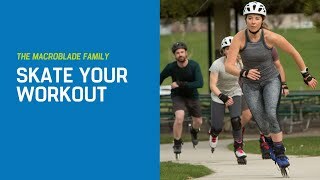 Rollerblade® freeride athlete and filmmaker Ben Brillante created a custom X-Fit workout that is easy to apply and accessible to anyone who wants to get fit, increase power, and improve athletic stamina. 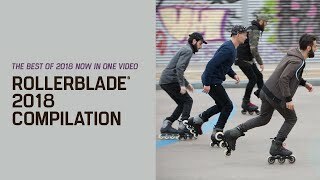 All you need are skates, shoes, and your own body. The X-Fit Challenge consists of a three month schedule with four workouts a week. Ben created the X-Fit Challenge using his experience in HIT (High Intensity Training). The program is an explosive workout routine within a short time to get maximum result. Using his own workout Ben lost 12 Kilograms in 3 months. In this video Ben and Pauline explain the benefits of using the X-Fit Challenge. Be sure to download the X-Fit Challenge PDF file that includes a day-to-day training schedule.